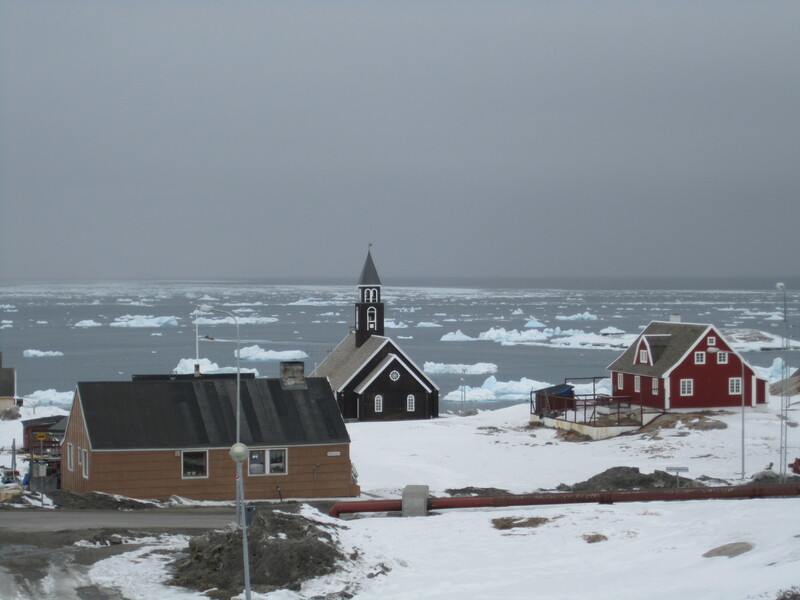 It’s my last full day in Ilulissat, and indeed my last day in Greenland as I fly back to Copenhagen tomorrow. I’m due to do two walking tours today, one to the old settlement at the ice fjord and also a guided city walk. Not for the first time this trip it turns out I’m the only one booked on both. All credit to the World of Greenland tourist office, I think they felt sorry for me having already cancelled my Monday boat trip, so they did the city walk with me despite me being the only person on it. As I’ve already been to the Ice Fjord I don’t mind missing that one too much really. 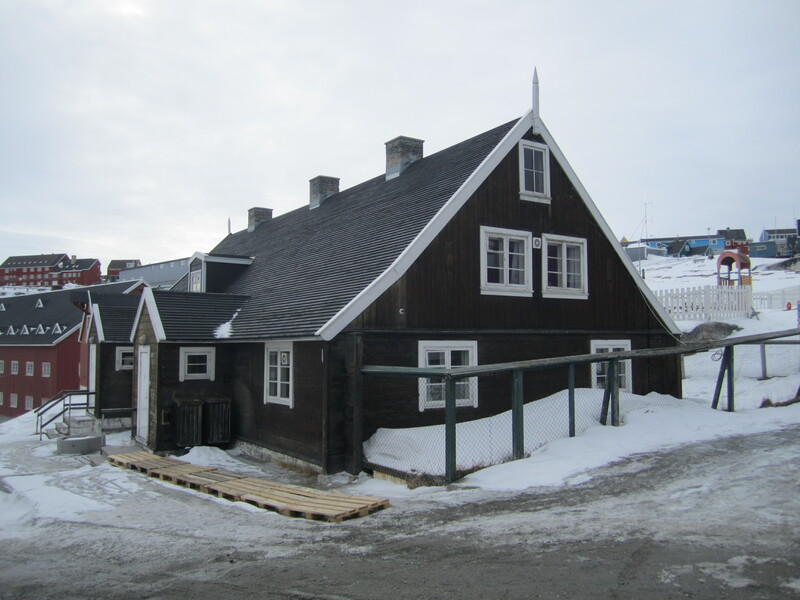 The city tour was really interesting, we went round the old town and saw the oldest houses in Ilulissat which were built when the Danes first arrived here. Then we went down to the harbour and saw some of the fishing boats. It was amazing to see what were quite traditional fishing vessels, but capable of landing sharks (although they don’t catch many of them, partly due to quotas). 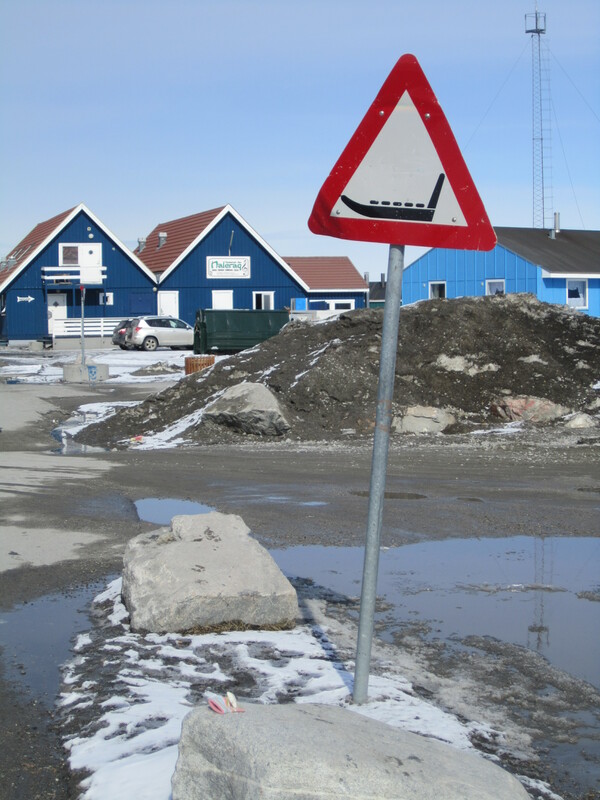 Fishing is the main industry here, followed by the council in Ilulissat (which covers everywhere from here to the North coast of Greenland, making it the worlds largest council in terms of area covered, an area 14 times the size of Denmark), then tourism the third biggest sector for employment. My tour guide also talked about the supply ships that come into the harbour here. They’re a bit better at breaking through the ice than the AUL ferry I had caught to get here a few days ago, but even so they have no supply ships for three to four months over the winter. The supermarket shelves get very empty, and the arrival of the first boat of the year is met with a massive shopping spree by the local populace. I was told by the tour guide that the Icy Cafe did the best coffee in town, so headed here for a coffee and to warm up after the tour. 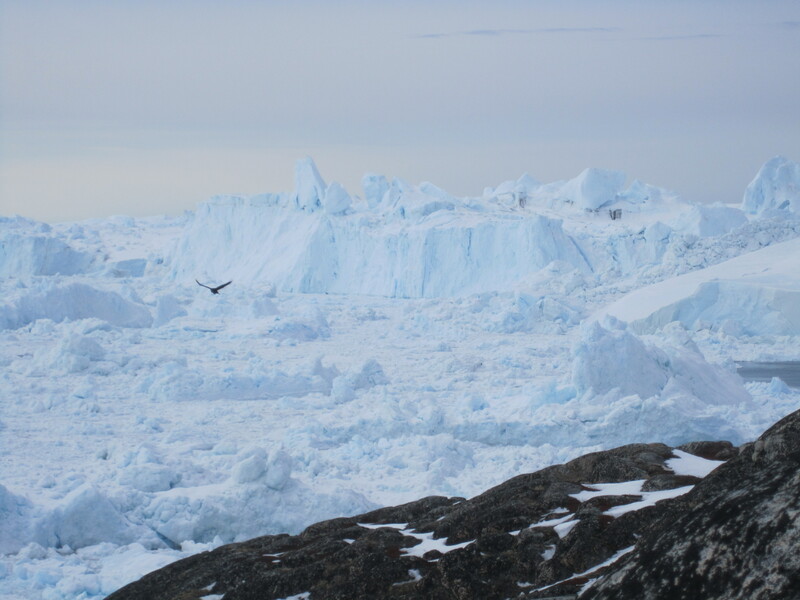 As I mentioned my guided trip to the Ice Fjord had been cancelled, and although I’d been before I decided to walk back over there to find out if I could “hear” the ice, any cracking sounds or whatever. Unfortunately it was actually quite windy when I got there so all I could hear was the breeze, and a couple of huge crows squawking overhead. In the evening I headed to Café Iluliaq, where I had a pretty decent stir fry. They had a big screen showing the Manchester United v Manchester City game, which seemed pretty popular with the locals. Murphy’s bar is connected to Café Iluliaq and I had a quick beer there afterwards, there was a huge room with a stage at one end which was closed and just the bar area was open. I had a look on teletext when I got back to my hotel, and to my horror my Air Greenland flight to Kangerlussuaq tomorrow is cancelled (from where I’m going to catch a connecting flight to Copenhagen) There is an earlier flight so I’m hoping I can get on that, I’ve had a fantastic time here in Ilulissat but don’t really want to be stranded for another day, I’ve got a hotel booked in Copenhagen as well as an onward flight the next day to London and it’d be a massive pain (and expense) if I have to rebook all of that.